Are you looking for a Dirt Bike Number Plate Necklace? Using CAD, lost wax casting, and even hand engraving, Valeria Fine Jewelry can create almost anything you can come up with. It will cost less than you might think to have your own Dirt Bike Number Plate Necklace created. Send us your idea and let’s get started. 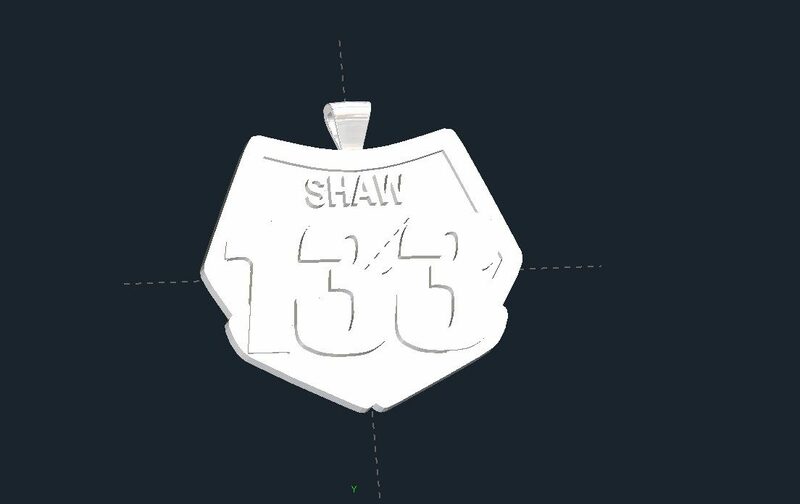 We can create Dirt Bike Number Plate Necklace designs up to 3 inches inches wide or tall in Bronze, Brass, Copper, Sterling or Argentium Silver, white, yellow, or rose Gold, Palladium or Platinum. We can create larger pieces by assembling smaller pieces though. If you wanted to add some color, a wide variety of gemstones or even enamel could be used. A few different finishes are also available to further personalize your piece. 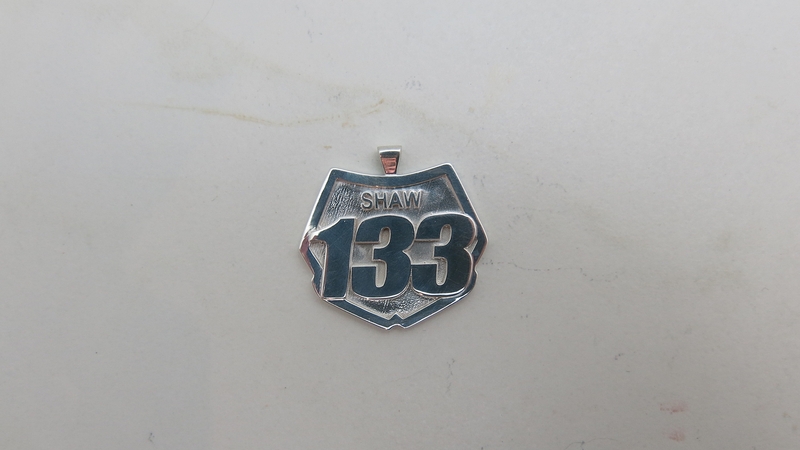 The starting price is for a Dirt Bike Number Plate Necklace in Sterling Silver. Click HERE to see another one of our Dirt Bike Number Plate Necklace designs. Click HERE to learn more about custom jewelry, view our portfolio, or to contact us about an Obelisk Pendant. It can cost less than you think to have your very own custom necklace. Why settle for the lame and overpriced neckwear from the retail stores when we can make something showing your style and personality? Give Us A Try!